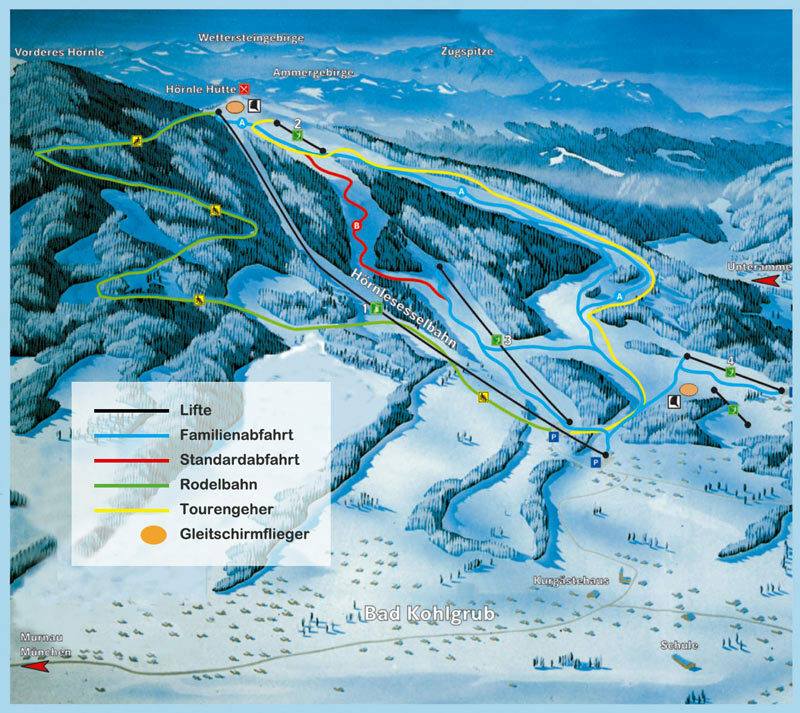 View the trails and lifts at Bad Kohlgrub - Hörnle with our interactive trail map of the ski resort. Plan out your day before heading to Bad Kohlgrub - Hörnle or navigate the mountain while you're at the resort with the latest Bad Kohlgrub - Hörnle trail maps. 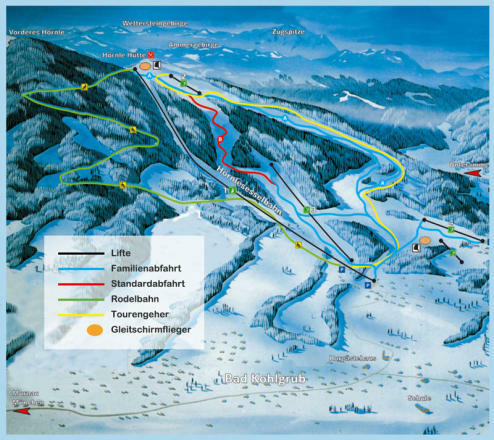 Select resorts also feature an additional trail map from partner, FatMap that provides a 3D view of the ski resort, including slope steepness and aspect, along with information on what it's like to ski each of the trails at Bad Kohlgrub - Hörnle. No fresh snow today. A lot of ice in the ground. 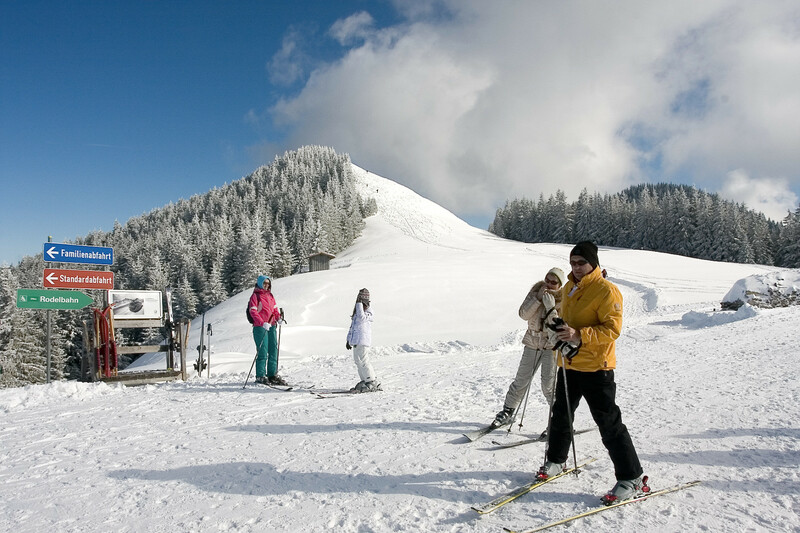 By the way, with snow is good for beginners! Get Snow Reports, Powder Alerts & Powder Forecasts from Bad Kohlgrub - Hörnle straight to your inbox!